You found it! 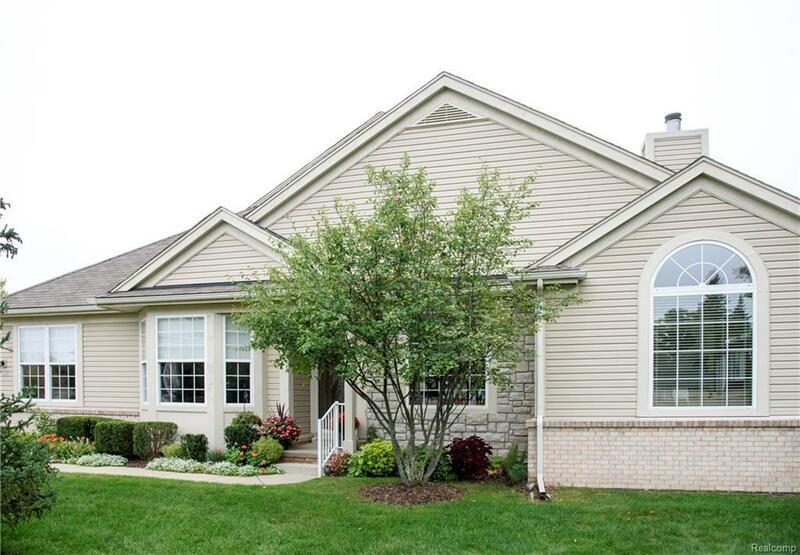 Updated ranch condo in north Troy features a stunning updated kitchen w/granite, tall wall cabinets & SS appliances. Bright, open floor plan w/gas fireplace, separate dining area, & den/office. 2nd eat-in area w/full glass doorwall showcases back deck and beautifully landscaped back yard. Huge master suite w/dual-bowl quartz top, soaking tub, separate shower w/Euro-style glass doors, & walk-in closet. Convenient main floor laundry and plenty of storage throughout! Hardwood floors in most of the main level. Professionally finished basement includes giant entertaining area w/wet bar, additional bedroom w/egress window, craft/hobby room, a full bathroom & still has tons of storage space! Exquisite landscaping w/flowers and greenery installed by a master gardener. Very quiet & secluded neighborhood w/nature walking paths, yet its still close to everything! HOA fee inc. water, some exterior maint., lawn care, snow removal, pool and clubhouse. The BEST of easy condo living!